Research has shown that deglycyrrhizinated licorice supports and promotes a healthy stomach lining and intestinal flora. ** Glycyrrhizinic and glycyrrhentinic acids, associated with high blood pressure, have been removed. 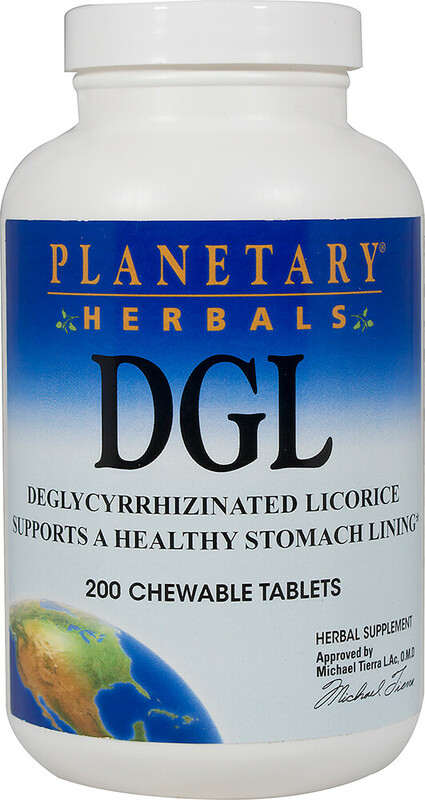 Planetary Herbals professional strength DGL reflects dosages and preparations used in clinical studies.